You can see the glossy texture in this photo. The cut line is actually a mark left after I pulled out a cat hair! Have a “male” card for you today! Don’t make these very often because I CANT do these! I end up adding pearls and flowers every time. This time though I didn’t feel the need of pearls! :) I made it for my mum’s colleague. He has a great sense of humour and is quite a prankster! The card is based on Chupa’s sketch this week and follows the theme of Cute and Cuddly at Wee Memories. Don’t know if fishes come under this theme, but these fishes looked so cute! The sentiment is from TLC, the fishes from Mami Doodles (I think). The argyle pattern is cut with Silhouette, I bought this from their store. The pattern paper is from Shery K Designs. I have used lacquer on the fishes to give them a glossy finish. Used yellow gel pen on their fins and tails. The white CS is distressed with French Blue ColorBox queue ink (Thanks Stef!) and the PP with Colonial Blue ColorBox queue ink . The light orange layers are coloured with Crayola markers. I will be entering this card in Sentimental Sundays as well. RAK CARD WINNERS: Yup I decided to give out two cards! The winners are jimlynn & Tejal. Congrats girls! Email me your snail mail addy. Hi everyone! I am back with ZERO mojo and a card. The challenge over at Gingerloft is Punches and Diecuts. The sentiment is a freebie from Gingerloft called “Butterfly Flight”. I used the colour palette at Playdate cafe. The swirl borders and butterfly are diecuts and lil flowers are punched. This is a small sized card, 5.25x4.75 inches. This is a cute card, it doesn't really show well in pictures but it has a lot of dimension too. Why is my camera turning against me?! I have no clue! I made this on request for a very sweet and caring person, Tejal, who loves butterflies like I do and surprisingly is also the RAK card winner! 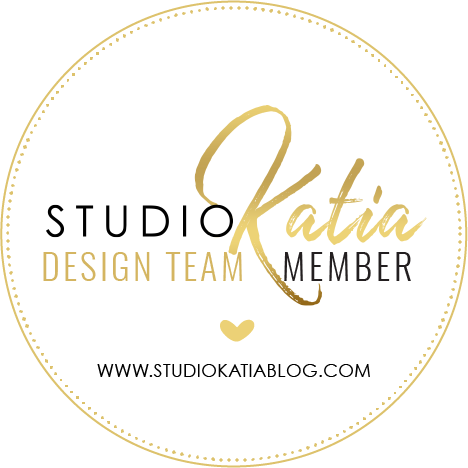 Visit her blog and check out her creations! ETA: I have added one more photograph, I took it just right now (5:16 PM). I think it looks better. Alright, hopefully this will be last entry for the Butterfly Blog Linky Party! This party has stir up my mojo! This card looks A LOT better in person and the butterflies are GORGEOUS! It’s not showing here but the butterflies are shaded… from the centre to the outline of the wings it goes from Teal to royal blue to dark purplish blue. The butterfly is a download. ETA: Took one more pic, it’s evening now so the picture has come out a bit better. At least in this picture you can see the colour gradient. But like I said, the butterflies are gorgeous IRL. Such gorgeous entries at the butterfly blog linky party!!!! I have another butterfly card to add to the list. I have CASEd one of Tejal’s cards, changed it up a bit. I made this card in maximum 10 minutes. Alrighty, going back to check on other card entries! Hey! You all have seen this card in pink HERE… I had to make it in blue for someone. I think pink one was better, but everyone here is liking this more. This is based on the colour challenge at Cr84fn #19. Here is my card for the Butterfly Blog Linky Party over at Eva’s blog. Thanks to Stef (Thanks Stef!) I had the right shades of ColorBox inks for distressing. I think I will make another card with butterfly as the focal image on the card. Hello! I have got two cards today, same look but different colours. The card is based on Chupa’s sketch (Sketchbook Saturday Challenge #1). Instead of adding a butterfly or flower in the centre, I added a big fat bow. Oh I so wish I had a scor-pal or scor-it or any tool for that matter, just wanted to add a couple of score lines right above the embossed part. Don’t suggest an empty ball pen, I have tried everything… it doesn’t give the same look. The sentiment is stamped and the damask paper is a print out. The white card looks great IRL, better than black. Hello! Glad everyone had a laugh or two reading my last post :) My family had quite a LOT of fun with that as well, a little more than I like. I had fun reading your comments too! Anyway, I took yesterday’s card and my idea to emboss the plain base and implemented it. This is the result. I changed it to a side fold and added a teal base. I think PINK base will look better. This is a lot better than yesterday’s card and it looks yummy. The embossing and colourful distressing reminds me of ice cream and candies! Here is another view. Couldn’t get a proper pic today. First things first, RAK card winner is Angelwhispers. And now on to the card that I have to show you today. It is inspired by the Tuesday Trigger at Moxie Fab. I love the colours in the inspiration pic! LOVE them! Have you checked out the challenge blog “less is more”? I am always spying on the entries and I have always hesitated participating in their challenges. But isn’t this what that blog is about, so we can learn this style? So today I am going to enter this at “less is more”. 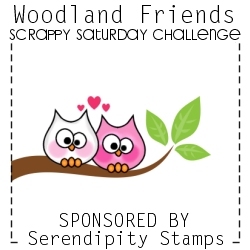 I am also entering this in the Wee Memories “Woodland friends” challenge. There ARE butterflies in the woods! This is 7.75x3.25 inches, I was thinking of embossing the background but then I thought “Less is More” LOL. I have left space at the bottom for sentiment. I have ordered quite a few sentiment stamp sets and when I get those I will make this again with the sentiment and put it up as “RAK card”. So if you like this one, be on the lookout. Outlined the card with a silver marker, it never shows in picture but looks great in person. I LIKE this card! Challenges: Moxie Fab tuesday trigger, Wee Memories, Less is More. Hello everyone! Hope you guys are rockin! The challenge at Gingerloft blog is “Add those flowers” and this is my first card as a DT member. Here is my card. 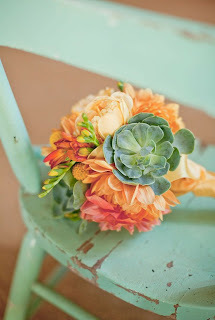 These flowers were left over from the last flowery gingerloft card that I made. This gorgeous lady is an image from Gingerloft Shop called “Floral Fairy with Stars”. Again I have coloured this image with my washable markers and blended the colours with help of a water brush. I made a boo boo… can you see? Well two boo boo’s, one’s a smudge just where her hair is ending and the other is that I forgot to colour the stars! LOL Anyhoo take out your flowers and come play with us. You have 2 weeks to play! I made 30 thank you tags for my friend’s label’s launch. These are inspired by the dress form card HERE. I designed her business card, letterhead, logo, bill book, price tags, shirt tags and big shopping bags all on Photoshop. She designs clothes and is good at what she does! Here is one of the thank you tags. It’s a bit longer than a tag, more like a bookmark. I’ll show you the business card and other things I designed in another post. keeping the post short as I have a severe migraine. P.S: RAK card winners will be announced later or I will directly email you guys.